The Tax Professional | Martha Yungk, E.A. Due to the high volume of mail, faxes, and emails received during the busy tax season, we cannot acknowledge receipt of information sent, therefore please call the office for receipt confirmation. The realization that tax time is here again means shuffling your schedule to fit in a tax appointment, PLUS the hours to complete the return. All-in-all, you know the process will consume a great amount of your time. Why not make things easier on yourself and let a professional tax preparer, an Enrolled Agent, handle your taxes by mail? Many have done so and prefer it! An Enrolled Agent is a federally certified professional credential issued by the US Department of Treasury. Being an Enrolled Agent, The Tax Professional is specifically trained in the field of taxation and is empowered by the US Department of Treasury to represent taxpayers before all administrative levels of the Internal Revenue Service for audits, collections, and appeals. 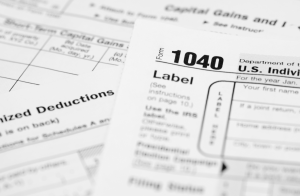 What distinguishes The Tax Professional? It’s our commitment to providing the highest level of quality service to our clients. We listen to your concerns, ask the right questions and take the time to understand your goals and objectives. We have a broad base of knowledge that will ensure your specific needs are met. To learn more, contact us today to find out first hand how we can help you make the most of your financial future. You can also become a member by using our secure sign-up form. Notice: There will be a slight increase in costs for some of the forms prepared for Tax Year 2016. Since The Tax Professional charges according to the forms needed, this increase may or may not affect your billing.